With QuickBooks online, your financial data is at your fingertips—wherever and whenever you want it. Using a cloud-based platform, QuickBooks Online is the new “go-to” accounting software for many small business owners. One of the key features in QuickBooks Online is its ability to automate transactions and sync directly with your bank and a myriad of third-party apps and add-ons. But while much of the system is automated, the system still needs to managed to ensure data accuracy and avoid complicated messes down the line. We can help you get your QuickBooks Online account established, help you clean it up, or help you convert from your desktop. We can also manage the ongoing QuickBooks accounting for you or train your team on how to do it if you prefer to manage it in-house. We also offer special lifetime discounts for QuickBooks Online, whether or not you are a client. Perfect for when your free trial or introductory discount offered by Intuit expires. For complex businesses or those who prefer the more robust features of QuickBooks, the desktop version may be the right choice for you. We offer the same QuickBooks support, whether virtual or desktop, simply by connecting to your local desktop through a remote connection. Hosted QuickBooks environments are a great solution if you want all the features of QuickBooks desktop, but also want the flexibility to access your file from any location. With your QuickBooks file hosted on a remote desktop, you can login into your file from any location, and have the same look and feel as though you were sitting in your office. QuickBooks hosted desktops are a great solution for businesses that have more complex accounting needs, particularly as they relate to Inventory and Financial Reporting. Hosted desktops can also support QuickBooks Enterprise, which has many advanced features that QuickBooks Online does not currently support. If you already have a hosted QuickBooks Desktop, we can easily access your file to support your accounting needs. If you are interested in getting a hosted file setup, contact us to discuss your needs. 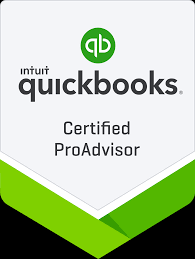 For more information about QuickBooks, contact us at (612) 293-9368. If you’re interested in our QuickBooks Membership and Hosting through Resolve Works, visit our QuickBooks Membership page for more information about the various membership options available.